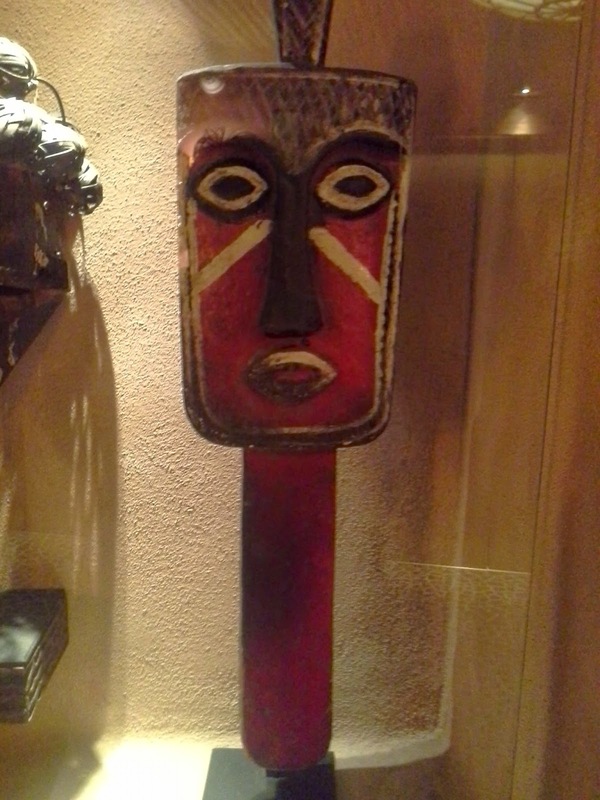 Over at Kidani village is this fine example of the water spirit masks common amongst the Ijo people. This tribe live mostly in the mangrove forests and creeks along the Niger river of Nigeria. It is a numerous tribe, perhaps numbering over 350,000. The people are commonly grouped into about 50 separate tribes. As you would think for people living along a major river, they are commonly fisherman and traders although they also farm yams, bananas, mangoes, plantains and other items. Also, as you would think among a people living along a major river, water is an important symbol in rituals and within the culture. This particular mask was used in rites to appease water spirits and protect the crops and villages. Typically, there would be tribal celebrations that lasted for days with the sole purpose of getting on the good side of the water spirits. Dancers would wear the masks as well as elaborate costumes with the best becoming possessed by these spirits. They also believe that water spirits are much like humans, flaws and all. Much of their prayer is dedicated to keeping the water spirits happy.